Versatile – the 12″ Hydralite Claw Jack has different stroke options, claw lift, screwed ram or plain ram. Low Clearance – there are claw models that are available for lifting loads with low ground clearance. Load Sustaining – toe jacks with a screwed ram and load retaining ring should be selected when loads are to be sustained for a significant time. Easy Operation – the operating lever can be fitted in any one of the three positions in the quadrant. This is to obtain the most suitable operating height, making using the jack much easier. PS1220C Toe Jack – 20-tonne lifting capacity. PS1230C Toe Jack – 30-tonne lifting capacity. PS1260C Toe Jack – 60-tonne lifting capacity. Tangye’s range of lightweight aluminium hydraulic toe jacks and other aluminium products have been in use throughout the world since 1856. 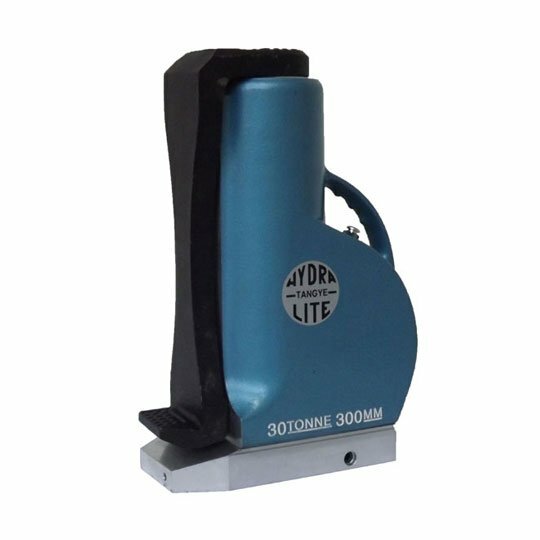 They have been working efficiently for customers who require Tangye hydraulic toe jacks, as well as Hydralite, Hydraclaw, and Hydramite jacks. These hydraulic jacks, toe jacks, and other products are used for a variety of applications. They can be used all the way from supporting bridges to lifting the nose end of F16 fighter planes. They are well-known throughout the world for their unbeatable quality and strength and are a key tool for many businesses. To find out more information about any of the Tangye Toe Jack we sell, or if you have a question about another Toe Jack or Hydraulic Jack, then please feel free to get in touch with us. You can contact us here, call us on 01254 615100 or email our friendly team at info@allspeeds.co.uk. We also manufacture a wide range of other products for lifting, gripping and cutting for mission-critical applications, so please make sure to have a look around our website. Allspeeds Ltd is the largest Webtool product manufacturer in the UK, and we set the standard for the industry worldwide.